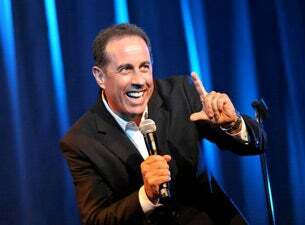 Comedian Jerry Seinfeld made a rare stop in Augusta, GA at the Bell Auditorium on Friday night in front of a capacity crowd. He brought his unique form of observational comedy that touched on American culture and human behavior. Seinfeld proved that he is still one of the best – if not the best – in the business. Seinfeld proudly revealed that he is 60 years old. He said that he recently made a bucket list and “changed the F to a B.” He noted that GOLF is the ultimate family avoidance tool – meaning “Get Out Leave Family.” He spoke about married life and how a man must have all of the answers when married. He also brought up how horrible children’s entertainment is these days. The audience was very engaged during Seinfeld’s 80-minute set. He continued his stellar reputation of keeping his act clean. He touched on many subjects that are found in American culture in today’s society. This resonated with the audience, regardless of their respective age. Augusta needs to keeping on bringing these big acts to the area because things are starting to look up in the CSRA. ← Journey & The Steve Miller Band Are Coming To Columbia, SC On March 11!